[polldaddy poll=5189056]In the past, I have been pretty skeptical of Google’s social ambitions, mostly because of company’s DNA. Based on a briefing and a demo, I am not yet ready to change my opinion. I think Google+ would be giving good fight to Facebook for the reason as google has many users already for which they dont have to hunt for the market also they have business google account which can be a booster for site to beat facebook in no time! I have a strong feeling this google plus thing is gonna take a lot of traffic from fb, not just because it has come up with some good features like Hangout or Huddle but also because Most of the people spend much of their time on google searching for their queries rather than facebook. So if these features come on google page , Why not anybody would like to give a try what the whole thing is all about? ! I think because of large no of traffic, the google has people might try some other options as well which google is coming up with. And also I think people are a little bored of facebook, and theya are in search of something new to pass the time , something new , cool enough to talk about among their friends! 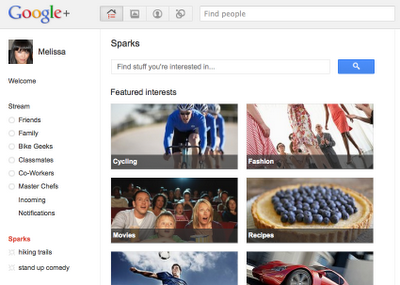 So once this google plus thing comes I think people are surely gonna atleast check out the new features in it. Good overview and I agree with you that Facebook doesn’t have much to worry about … yet. I like the Circles concept, but Google still is somewhat mechanical in it’s approach. They could do a lot of interesting things by linking people based on topics of interest, etc. I can create my own circle but it is not intuitive that I can create subsets of individuals I want to hang out with, such as ‘fellow dads,’ ‘ebook clubs,’ etc. While Google has taken one step forward, they need to bring the human aspect (not just the social aspect) back into their thinking. Why do people want to form a group, for example…..
Nice! But late. Congratz Google Team. Google Rocks!! Om don’t you think after Twitter and Facebook the average person does not have the bandwidth for another social network? Social networks, in my opinion aren’t similar to hardware where we’re always racing to jump on board with next new gadget. Most people I know are so addicted to Facebook and deeply intertwined in it’s network that their’s no chance of them switching regardless of privacy. I do think that Facebook has something to worry about here. I agree that its a great opportunity to bridge mobile and desktop. The fact that they embed WAVE into the product is absolutely HUGE in my opinion too. Honestly – the reason I am not active on facebook is exactly the lack of features google+ adresses. Its possible there (in fb) but too hard to maintain and manage. Now I sound like a fan boy. Sorry. Just that I don’t get excited easily and WAVE plus this whole thing is what I was looking for. Especially on my Android. Video, chat, voice. Thus my next point. Why keep GTALK? its an embedded feature now in Plus! I’m pretty sure Facebook should be worried. It looks like Android could be creating a ‘facebook phone’ without facebook! If they can find carriers to get on board with live video chat via your circles, plus instant photo and video sharing, well that’s what we all want, right? The question in my mind, is what does it do for ‘groups’, i.e. companies and blogs and other organizations. Do they form sparks? Did Google think of them at all? well i don’t think so….;? Also, after playing around with it Google Plus for a bit today, I can tell you already a large part of it is going to be sharing anything you find interesting online. Facebook has it’s “like” button all over the internet, but it doesn’t do much with the information that you “like” something online. It looks like Google Plus is working to better that system. Instead of “liking” things tho, Google let’s you “+1” things, such as this article (and for those of you falling behind on not having your +1 button set up yet, chrome has an extension to +1 and web site). So, now that I +1’d this, my friends that google thinks might be interested in it will get told about it. Please, stop spamming that everywhere. Great commentary! Looking forward to seeing Google+ implemented by the public. Totally agree with your last comment on seeing a counterbalance… they have to much influence for my liking. I slightly disagree about the traction problem here. I really think the key product – and the main driver of traffic – will be circles. The lack of audience-choice keeps me from posting on facebook and i know many people who either only passively consume and sometimes comment on facebook or limit their posts to one type of audience; however almost everybody on this planet has at least two true circles and thus we’re either spammed or left out by the facebook system. Is there any way I can use beta of Google+? Sorry OM – just not convinced – I can almost see you trying to do a switcheroo and support Google but your earlier opinion is holding you back…or maybe this is an attempt to change your opinion. Not sure how I can dismiss it entirely after a 45-minute demo and not sure how I can embrace it after a 45-minute demo. I have not used it for an extended length of time to make a good case either way. You’re delusional. Long road downhill? Chrome is expanding, Android has exploded, and they’re bathing in advertising cash. 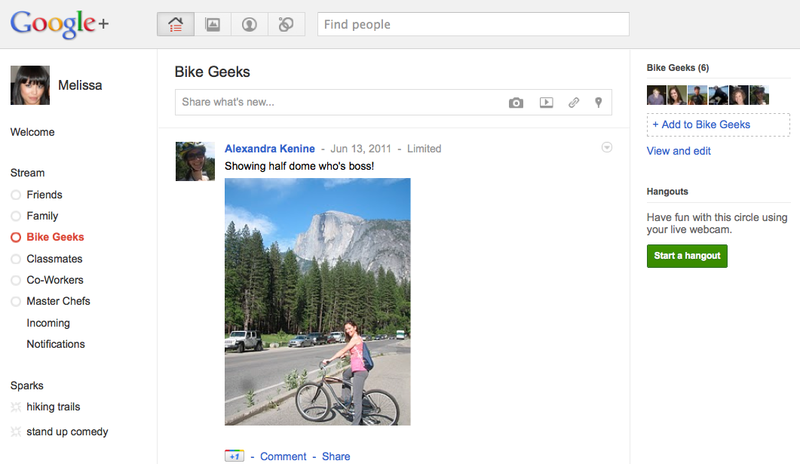 Watch the demo, Google+ looks great. From their patent case disclosure courtesy Oracle, Google makes less than $4.00 for every Android device in REVENUE while Microsoft makes $5 for every HTC Android device and soon will make $7.50 – $12.50 for every Motorola or Samsung device running Android soon. Admit it please.. Google has great search assets but they botched both of their mobile and social businesses. They will make no money here whatever be their mindshare and marketshare. And Google is a public company that needs to make money if you have any doubts about it! I really think that Oracle, Apple, Microsoft and Facebook will make the Fat Lady sing for Google by 2015 or 2020. Yes they do, although it’s a part of Facebook’s off-putting privacy settings. I have most of my friends organized by groups; if I want to talk about something personal, I make it visible just to the group of friends I have deemed important. If I want to talk about work, I hide my post from my co-workers, using the group of coworkers I created. Facebook Groups is not as granular as Circles and privacy is not as intuitive and easy as it is on Circles. I think once you use Circles you will see that. Clearly this is going to be a hard one for Google to explain. I felt the same way as well but in actual usage things were a lot different. Not Groups, but Facebook does have the facility. You can classify your friends and family and then choose who each update goes to. Just hover over the little lock icon before you set your status – or you can set a default i.e. Updates go to everyone except friends set as ‘work’ by default. And I sincerely hope (for your sake) that your method works out. I tried this same process – painstakingly sorting every Facebook Friend into an appropriate group and category. I went through this process on three separate occasions. On three separate occasions, Facebook washed all of those settings away and I had to start over again. The worst part was that they did not even notify me that the walls in my garden had fallen. This is exactly why I deleted my Facebook account 3 years ago, and exactly what I have been waiting for. The link in this sentence – “Today, you can get to Google Plus by visiting a website â€“ Google.com/+” is pointing to an incorrect URL. Like the plus one button, it totally doesn’t work with Google Apps accounts. The way Google leaves their most active users out in the cold constantly astounds me. yes, and maybe if one of the high profile bloggers posed the question publically we would get a semblance of an answer from Google instead of a vague announcement in March that it was coming soon. I can see when it is eventually Profiles for Apps is enabled it will create havoc of duplication because same people will have established profiles with (mostly) Gmail accounts and then start doing the same with Apps accounts. When the whole premises of Circles was to delineate between work/private/friends it seems the launch sequence of this is vexed. I’ll speculate further and say without Profile portability functions of some sort all of this is just going to get more socially messy. Is mobile an addon to so social, or will mobile be an integral part of the future of social? Since social is as you point out all about organization, which should be a large part of mobile. Ronald I am not sure I quiet understand your question — however to me, the Google+ has a bigger potential as a mobile-social experience. Sorry was at the airport. My immediate thought on the circle concept was, people move in and out of circles(can be in more than one) based on space time. Like in the good old days a todo list was just that, now it’s a list of lists in space time. I don’t think social will be a static as it used to be. All this sounds very intriguing, and it looks like it’s going to be an exciting service from the few photos on that link alone. Looking forward to it. It works. The url they provide is a link to a page on gigaom.com. If you manually type in http://google.com/+ then it works. A lot of plus link seems to be giving 404’s, the one in this article included. This link works: https://plus.google.com/up/start/?sw=1&type=st (initially from google.com/+). I fixed the link here. It still seems to me while this is google’s real first competent social offering, that the next wave of social is not going to come from an existing massive company like google. I think the simple fact that people cannot connect to facebook will make this a hard sell for a lot of folks. As pointed out in this article, the next big thing will be a company that leverages Facebook’s social graph and pivots the attention to it’s own platform. Plus, isn’t this going to stoke the battle between facebook and google? What happens if that turns ugly? Great to see Google finally enter the Social Space! I couldn’t access the URL for Google Plus either. It looks like an interesting service, however I wonder how it will build the community and the tools required to make it a force to be reckoned with. It is working. Try again. It might be the cached version of the site. And Huddle sort of sounds like the Huddle Google tripped on back in ’08, no? Or what’s the diff? Yup – nothing but a 404 error msg. It is google.com/+ (sorry by habit I spell things out.) I have updated the URL. Well, it’s fixed now. google.com/plus will also work now.